AI is infiltrating everything we do, even if we aren’t aware of it. And it’s no different in digital advertising. 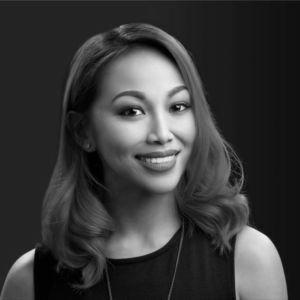 In this piece for ExchangeWire, Cheryl Guzman Ng (pictured below), APAC head of marketing and innovation, Xaxis, explains how marketers can look to adopt it in their marketing operations. For advertisers, the objective of a media buying strategy is simple but challenging: to reach the right audience with the right message, at the right time, in the right context, and the best price. To achieve these measures often requires a tedious process of gathering enough information to formulate a plan, and then to implement that plan and continuously optimise towards the desired results. On the other hand, Artificial Intelligence (AI) – a much-hyped technology in recent years – is steadily infiltrating every industry; and advertising is no exception. The good news is that as the buzzword becomes reality, we can finally start to say goodbye to long hours of manual data gathering and analysis. 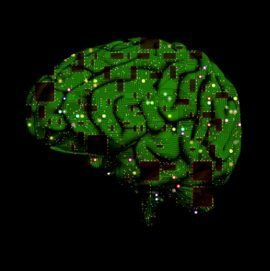 The bad news is that, for those who don’t embrace the potential and possibilities of AI, it will be increasingly difficult to remain competitive and relevant. Regardless of where you are trying to reach or convert your consumer in the customer cycle, there is bound to be an AI-powered marketing tool that is deployed: recommendation engines, retargeting, predictive analysis, dynamic creative optimisation (DCO), chat bots, social engagement, etc. One area where AI excels, and its capabilities are undoubtedly unquestionable, is programmatic advertising: a world where billions of impressions are auctioned off in a split second off the back of insurmountable data. Of course, it’s not compulsory to use AI, but the efficiency and effectiveness of your campaign won’t be able to compete with others who do, and you probably should not be in business if you’re still in ‘manual mode’. Speaking of ‘manual’, it still remains that to fully utilise AI, you can’t do so without talent and data. An AI-based bidding strategy should begin with programmatic specialists who have a thorough understanding of the current advertising landscape and can design, implement, optimise, and analyse. In addition to marketing expertise, programmatic specialists will need data science and engineering acumen to optimise AI-based campaigns in ways that lead to the best outcomes. To be specific, the two types of talent you will need on your side are scientists and engineers. The scientists will define the fundamentals of the project, developing a sound proof of concept. Then they will choose an algorithm that will test against the proofs, and decide what input and outputs to implement, depending on the data available and desired business outcomes. Meanwhile, engineers will assemble, customise, and deploy the algorithms, scaling and making them repeatable, all while gathering and defining the data. This explains why even though there are plenty of free open source algorithms available online, you don’t have the advantage until you have the talent (and data!) who can customised them to your business needs. That explains why data scientists and engineers who specialise in AI are so in demand. Perhaps most crucially, the potential partner must give examples of ways they’ve customised their algorithms to not only work with clients’ KPIs, but also their proprietary, first-party data. After all, data is the new oil that fuels the machine intelligence. At Xaxis, AI is at the core of what we do. An example of how we deployed machine learning with customised algorithms was to help a luxury retail brand with a unique return on ad spend goal for their digital campaigns. Our team customised a regression algorithm to analyse log-level data and predict better-performing impressions. Copilot, Xaxis’ AI engine, used its ‘Predictor Strategy’ to look for features with the strongest correlation to performance to drive smarter optimisation. Thanks to the AI-customised algorithm, we were able to achieve a 53% increase in conversion rate and 35% increase in CTR, compared to manual. As I said, it is not compulsory to include AI into your tech stack. As a matter of fact, it is a necessity.